Quest’s meeting room caters for small to medium sized meetings. Ideal for training, board meetings or product displays, it provides an environment conducive to both formal and informal meetings and events. The room provides a range of configurations for up to 50 people. 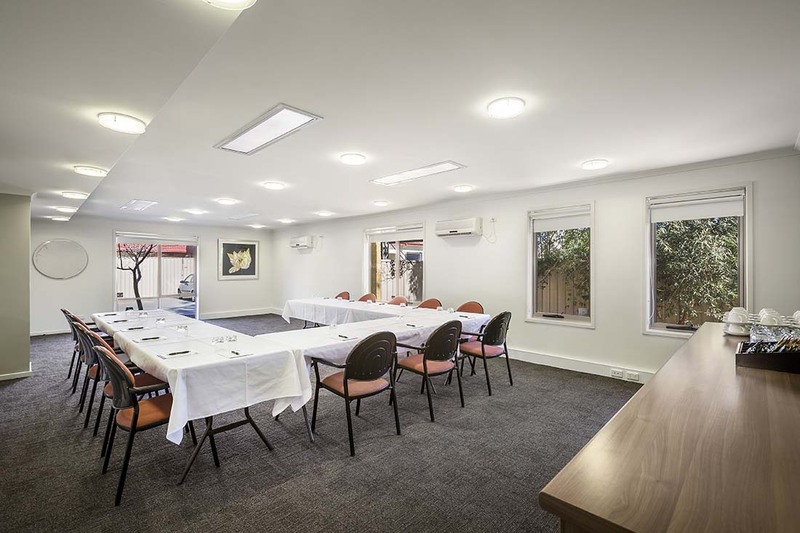 As an alternative, the apartments provide the ability to hold small meetings and presentations. Facilties available include facsimile, photocopying. email and clerical support, free Wi-Fi, complimentary note pads and pens, ground floor access, off-street parking, whiteboard, lecturn, projector screen, flipchart, chairs, tables, TV, DVD player, air-conditioning. Catering can also be arranged.